Mandala patterns are a frequent favorite. This one produces a winter-themed mandala panel, that’s equally good on its own or as a part of a larger project. 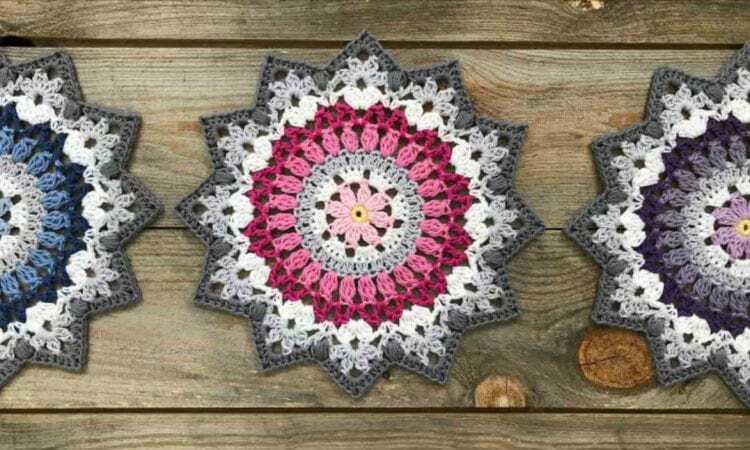 It’s particularly amenable to making coasters and doilies, but with some clever stitching can be made into a table cloth or a blanket centerpiece. Also, even though winter hues are preferable (winter mandala, after all!! ), the possibilities of varying them are essentially limitless. This beautiful pattern will be a highly enjoyable fall and winter evening project. A link to a free pattern is at the end of the post.